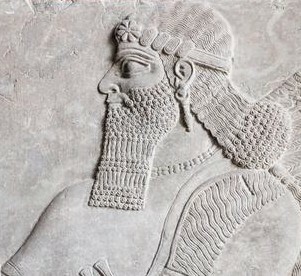 The Babylonian King Nebuchadnezzar or Nebuchadnessar(knew the Most High God, and was blessed by Him. In the following bible verses Daniel is witnessing to Belshazzar, the son of Nebuchadnessar. Belshazzar had just seen fingers of a man's hand write on a wall, and Daniel was called to interpret the writing. Daniel rebukes Belshazzar before giving him the interpretation, because Belshazzar knew what happened to Nebuchadnessar when he got haughty and proud. God made him to act like an animal for seven years until Nebuchadnezzar recognized that his blessing came from the most High God. Do not lift up your heart in pride and forget the God who has blessed you.